Buy-to-let portfolio mortgages are products designed to suit the specific needs of landlords and property investors who own, or are planning to own, more than one buy-to-let property. Mortgages for multiple properties are typically available to landlords with at least 3 or 4 properties. Landlords with a number of properties have what is known as a property portfolio. The benefit of this set up is the landlord’s ability to spread their risk across a broader range of property types. For example, if you already have a number of lets for young professionals, a property for a family or a student let will help to spread your investment between properties which are subject to different market forces. This approach can reduce the risk of the investment, and help to smooth any unexpected costs. Mortgages for landlords with a property portfolio are relatively niche, but there are some lenders out there that specialise in exactly this type of deal. Buy-to-let mortgages for professional landlords are treated as a single mortgage account, irrespective of the number of properties the portfolio contains. The lender will treat the agreement as a single loan, and offer an ongoing credit facility which allows the landlord to make use of any unused equity. This makes it easier for professional landlords to buy new properties without having to make a new application for additional finance. Lenders will tend to consider portfolios valued at anywhere between £500,000 and £10 million, and will typically expect rental income to be in the region of 130 percent of the loan repayments. Thanks to the size of the deal, the interest charges on mortgages for multiple properties will typically be less than those on conventional mortgages for individual properties. As the loan-to-value and rental income are spread across the portfolio of properties, this gives you some additional leeway with void periods i.e. if one property is empty for a couple of months, you can still operate without making a loss. You can also use the equity in other properties to purchase new properties on what is effectively a 100 percent buy-to-let mortgage. Mortgages for property portfolios are also advantageous because they allow landlords to borrow more than the value of an individual property. This can be an easy way to fund the additional costs of refurbishing or redecorating a property to make it suitable to let. As with every type of investment, a property portfolio is not without its risks and there are no guarantees as to the rental returns or the capital gains your properties will generate. You should also be aware that most mortgages for landlords are arranged on an interest only basis, as this allows the landlord to deduct the interest only portion of the mortgage as a deductable expense. 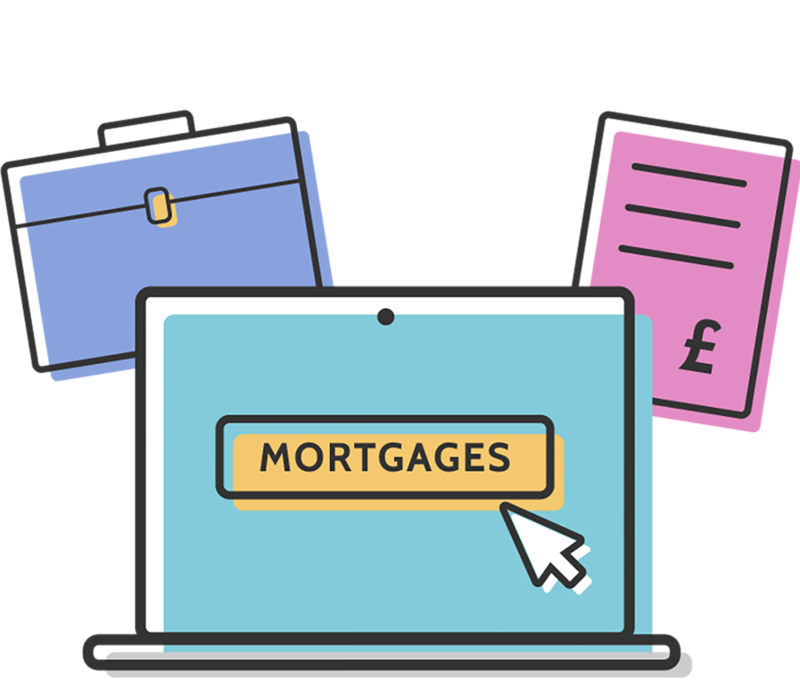 At Mortgage Advisor.co.uk, we work with an experienced network of mortgage advisors including a number of specialists in the field of buy-to-let mortgages for professional landlords. This page contains a quick snapshot of the factors you should consider to help you find the right mortgage deal for you. For a free, no-obligation discussion about your particular circumstances, please complete our enquiry form and one of our experienced property portfolio mortgage advisors will be in touch.